They vary from country to country with different styles and decorative designs. Take a look at the pictures below and read more about each structure. A monastery is the home of monks and nuns. 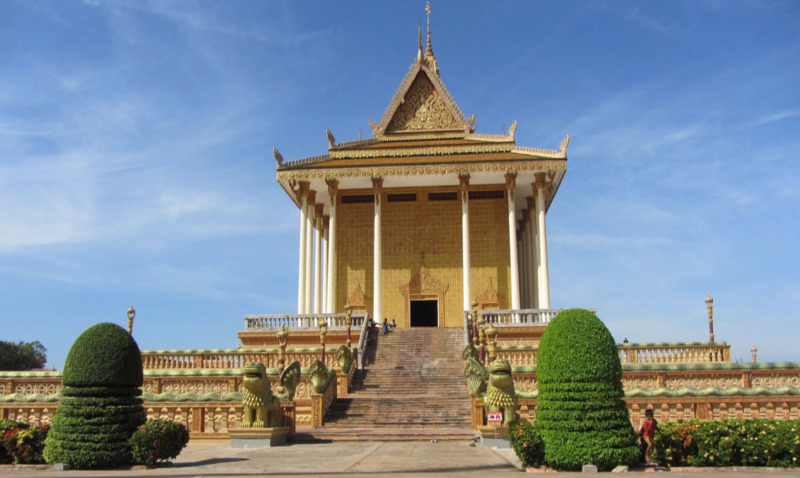 It also serves as a center for meditation and learning Buddhism. Lay people often visit the monastery for retreats or to study and live the Buddhists teachings in a peaceful place. Monasteries are often isolated in forests or mountains and are meant to be self-sufficient. They grow their own food or rely on the lay community for support. Temples are places for meditation, chanting and to learn the Dharma. The most important part of a temple is the main hall with Buddha images and an altar. People make offerings of flowers and incense at the altar and bow in respect to the Three Jewels. There are usually cushions on the floor to sit on, but chairs are also provided. 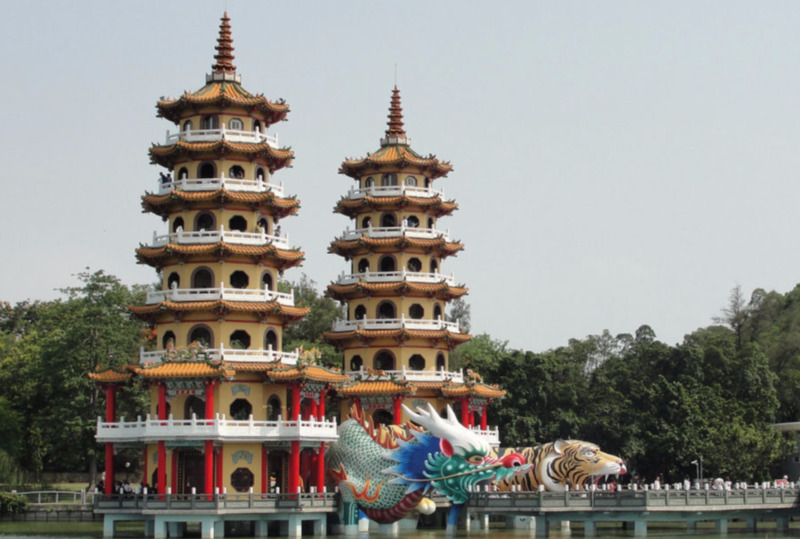 A pagoda is a tower with many floors, each with a graceful roof and a top roof capped by a spire. 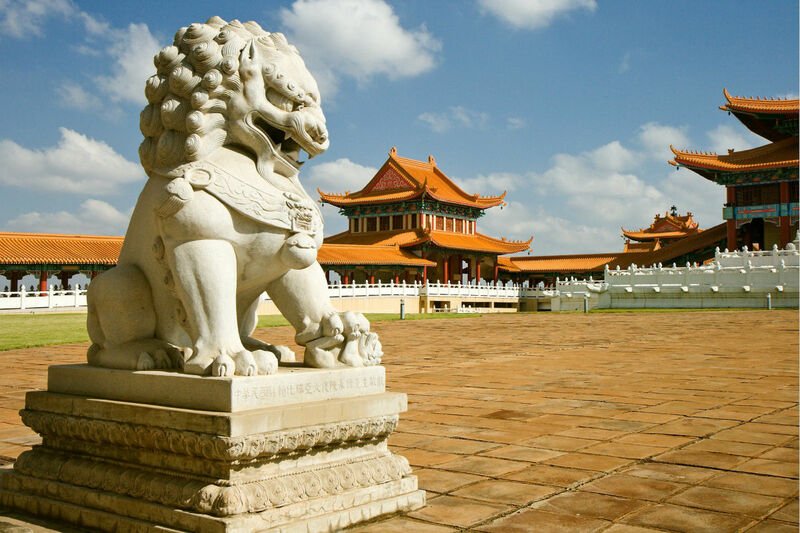 Perhaps the best known are the pagodas of China and Japan. Pagodas are designed to symbolize the five elements: Fire, Air, Earth (the square base of temple), Water and Wisdom (the spire on top). 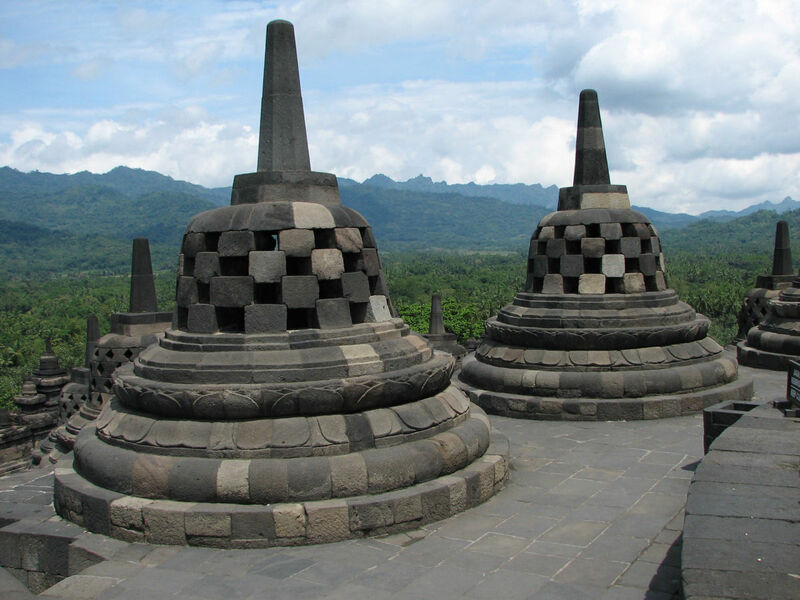 The first Buddhist structures were dome-shaped buildings called stupas. They contain the relics of the Buddha, a gem, a hair or a tooth. People do not enter a stupa, but pay their respect by walking around the stupa in a clockwise direction. Sacred books are stored in some stupas.